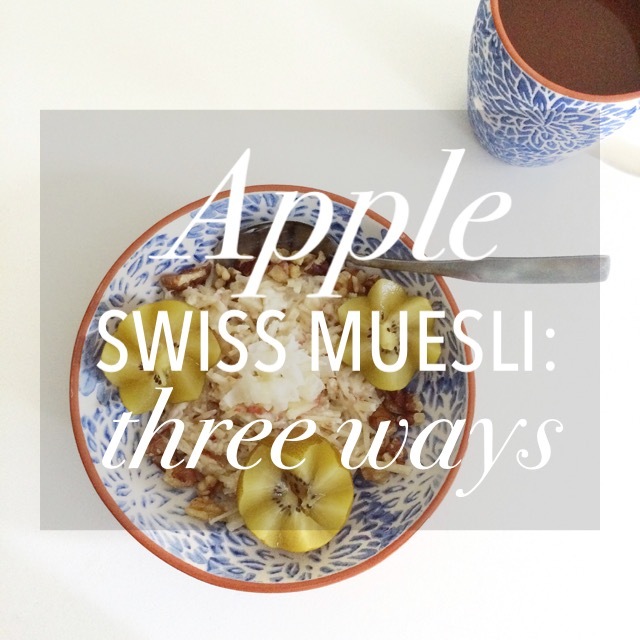 I found this idea for Apple Swiss Muesli during the hot, muggy month of August after my mom’s suggestion. 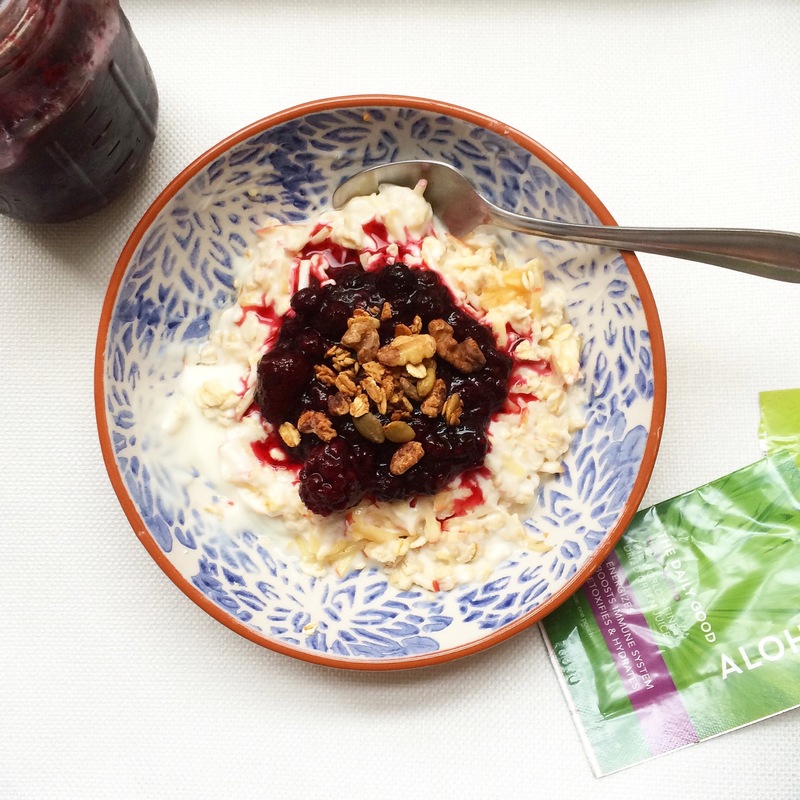 It’s a breakfast that’s carried through to the cold weather, just swapping kiwi and coconut flakes for Superfood Poached Berries and hearty Pumpkin Spice Granola. (A cranberry orange zest with a dash of nutmeg may be in the future to hail the upcoming holidays.) It’s especially easy to make the night before in a Mason jar to have breakfast covered the next morning or to whisk away with you on your commute. 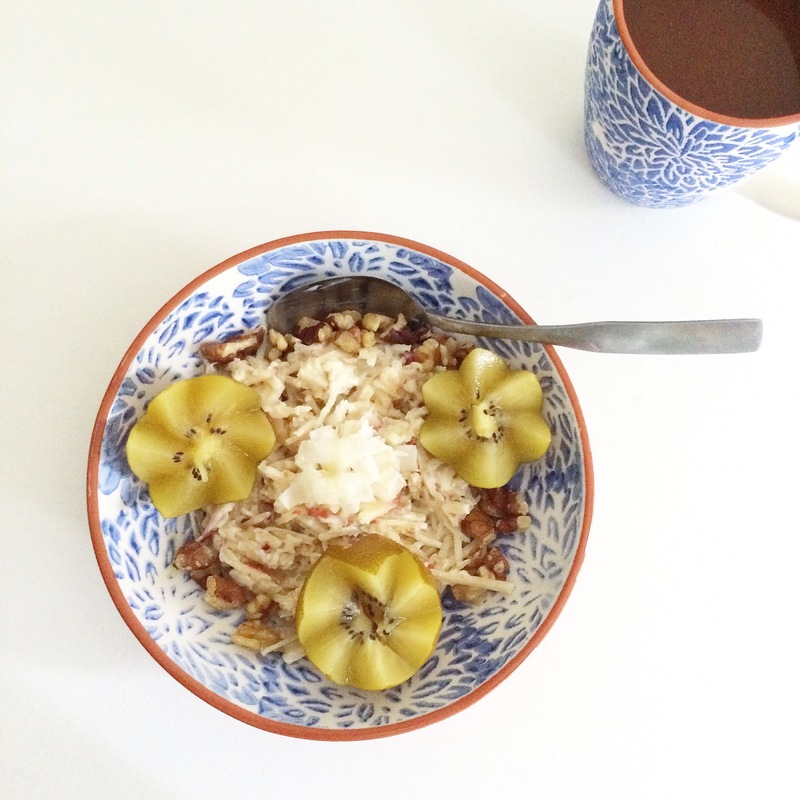 This version of muesli is so easy to make and experiment with toppings to make your perfect breakfast. * Please Note: I do receive products from Aloha. I only post recipes with their products that I have made and loved myself. Using a julienne slicer (like one here) or a grater, slice the apple into small strips. 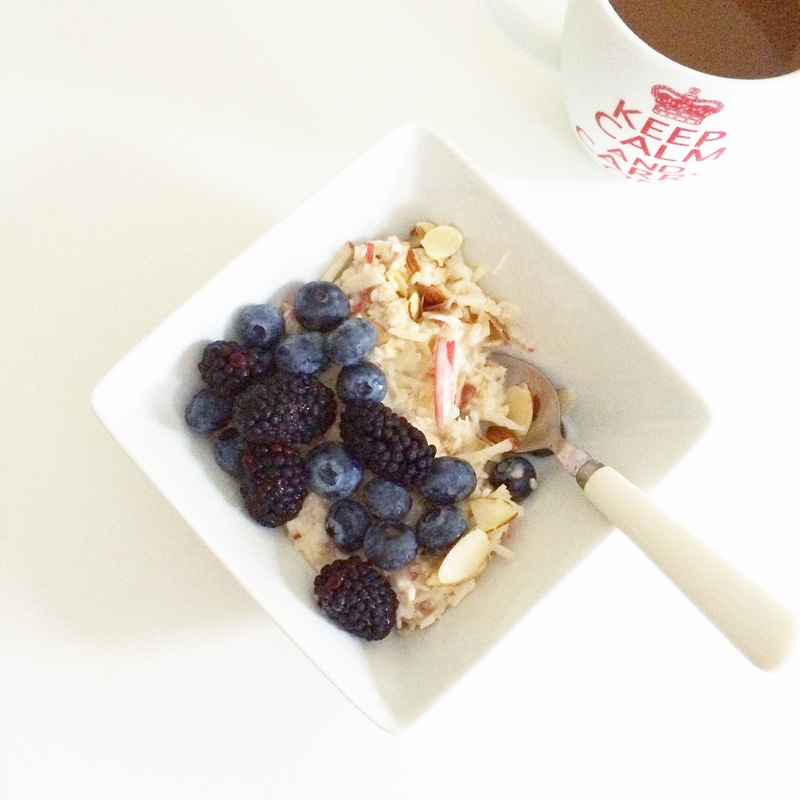 In a jar or covered container, combine all ingredients for muesli — oats, yogurt and apple. Cover and refrigerate for at least 15 min or overnight. Top with your favorite toppings — dried or fresh fruit and nuts. Adapted from recipe found in Nutrition Action.